After several hours and rejecting more than, as Cat would say, a bazillion selections, we finally make our way home, bags brimming with a half dozen dresses and an array of ankle length skirts. And though our quest to find items that actually cover both my calves and elbows did prove time consuming, that was not really the reason for our extended excursion…it was my complete and utter awe over the vast display of readymade clothing! Modern women no longer have a need to select fabrics and patterns and hire a tailor—they merely step inside a store, choose an item off a rack, and bring it home. Marvelous. I step inside Cat’s comfortably cool home and slurp the final remains of my creamy beverage. My cousin insisted she needed a ‘sugar fix’ on the way home, so Vivian stopped at a building with bright yellow arches filled with delectable delicacies. A chill seeps down my throat and I close my eyes at the blissful sensation, before recognizing the uncomfortable, full one tightening my stomach. Wonderful, yet another experience in which to amuse my cousin. Since arriving, I seem to do little else. And though it is quite improper to discuss such topics, I have no other choice but to continue the entertainment now. Cat grins in reply—as I expected—and I hang my head, following wordlessly in her wake back to the chamber she called a bathroom. She turns the knob on an interior door, steps inside, and lifts the lid on a bright white object. She lowers the lever and the toilet goes wild. A loud gurgling, much like the sound of a waterfall, erupts from the basin and I jump back and grip Cat’s arm with a muted squeal. The water pooled inside begins to bubble and fresh water cascades down from the rim above. The rumbling noise recedes to a gentler hiss but just when I think the excitement is over, the basin makes one last hurrah, twirling and whirling the water down the hole at the bottom with a final booming glug. My voice rising to a high-pitched squeak at the end does not help the situation. Pushing my hair from behind my ear and ducking my head to hide my face, I clamp my eyes shut and will this moment over. Oh, why must every new discovery be such an embarrassing revelation? The door clicks closed and I shake my head. Suddenly, all of Cat’s humorous missteps from when she traveled to my time flash in my mind along with all my resulting merriment and I look to the heavens with a begrudging grin. Yes, my present embarrassment is an apt form of divine justice. When my head lowers, my gaze centers again on the silver lever and it is as if my insatiable curiosity is a living, breathing creature inside the alcove with me. I bounce on my toes, gnaw on my lip, and finally give in, shooting my hand out to depress the cool metal. The wondrous performance begins again, and my laughter echoes off the sage colored walls. 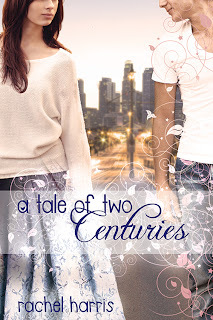 I knew what Rachel Harris would come up with for “A Tale of Two Centuries” would be awesome, I just didn’t know how awesome. I was excited to get back to the world that Harris created for her readers in “My Super Sweet Sixteenth Century.” Where we met Cat, and her Renaissance cousin Alessandra, also known as Less. “A Tale of Two Centuries” focuses on Less’ journey, rather than Cat being the main focus. Cat is still a big part of the story, though, so for those readers, like me, that fell in love with her, we still get to see her. Less is given a chance to go on her own time traveling adventure with Reyna. This time Less is going to Cat’s modern world. As you can imagine the big city was a few shock for Less. She didn’t know what “bucks” were or how to get to Cat’s. Less goes on a journey to find out who she really is and what she wants in life. She has to learn plenty of lessons that I learn every day. How to be comfortable in your own skin and break out of your shell? Now that Less is in modern times, she is able to act without it being improper for woman. Alessandra, “Less” for short, is such a great character. She is so easy to fall in love with just like Cat. It has been two years since Less met Cat. Less is 16 years old and waiting to find out when she will be getting married. When Less finds out that the man she has fallen in love with decided to get married to someone else, she is devastated. Than magically Reyna shows up and offers Less an adventure of a lifetime, so of course she isn’t going to pass up this opportunity. As Less has to learn about life in Hollywood and how she can follow her dreams. With a new novel, there is always a new male lead. Here we have the swoon worthy Austin. Austin is very much a bad boy, he skips class, does what he wants, and doesn’t care what anyone thinks. Less and Austin don’t hit it off at first but with a male’s persistence. They strike a deal and then fall in love. I think Austin was the perfect male lead to Less. He fits perfectly with her. What is a bad boy without a rocky complicated past? Austin seriously has it all. Lucas is my book boyfriend. No, I don’t plan on sharing, so back off right now. I love how persistent Lucas is in trying to win Cat over. He is definitely interested in her and he felt a connection with her at the end of “My Super Sweet Sixteenth Century.” Lucas just wants Cat to give him a chance; he wants to show her what he has to offer in a relationship. He is such a sweetheart. I am really hoping that we get way more of Lucas in the third installment of this series. Then we have Cat. Same old spunky Cat. Cat seems to be very excited to have her cousin around but very worried for her too. Less begins to disappear without a trace, not informing anyone of where she is going. I think ultimately Cat missed her cousin very much. It has been two years since Less has seen Cat but it has only been two months since Cat has seen Less. Both girls have done plenty of maturing since they last saw each other. 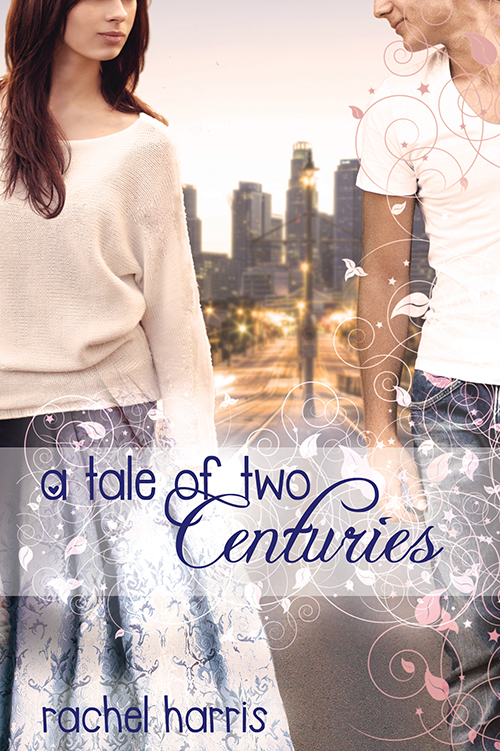 I absolutely loved “A Tale of Two Centuries.” I enjoyed being pulled back into these characters stories that are very dear to my heart. Rachel Harris’ books are definitely ones that I look forward too. I think Harris out did herself on this sequel. This book was amazing and I hope that others truly enjoy it. The plot was fantastic, I think it really brought out Less’ character and opened up so many possibilities for where book three could go. I think it would be really cool if it was focused on one of the boys’ lives. If you haven’t read “A Tale of Two Centuries,” definitely check it out however if you haven’t read the first book in the series, “My Super Sweet Sixteenth Century” then I would personally start with that one. Thank you Rachel Harris for writing such awesome books, I love them and I am so glad that I get to share them with friends. You, my dear friend are amazing and the flirt squad has become one of my favorite street teams to be a part of. I feel like we are one big happy book loving family. I give "A Tale of Two Centuries" five out of five bookshelves.